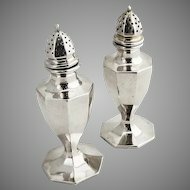 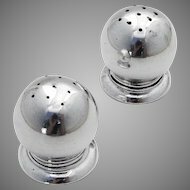 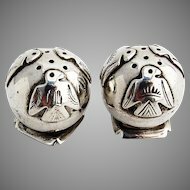 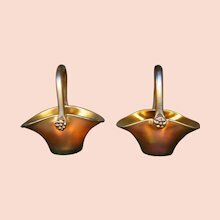 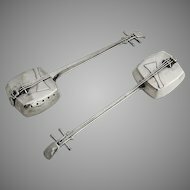 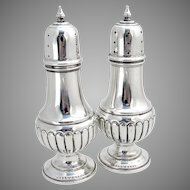 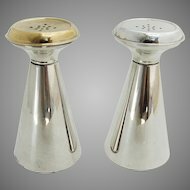 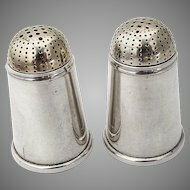 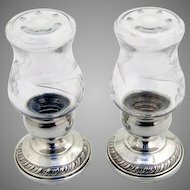 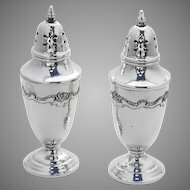 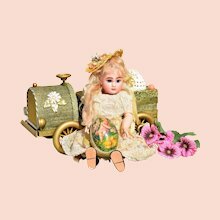 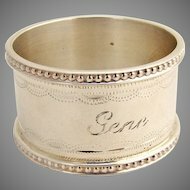 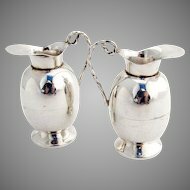 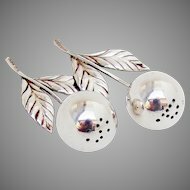 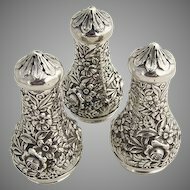 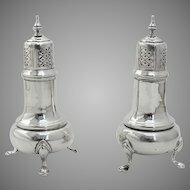 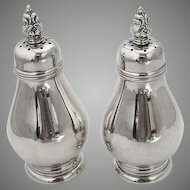 Aesthetic Small Salt & Pepper Shakers Pair Floral & Bead Decorations Gorham Sterling Silver c. 1880. 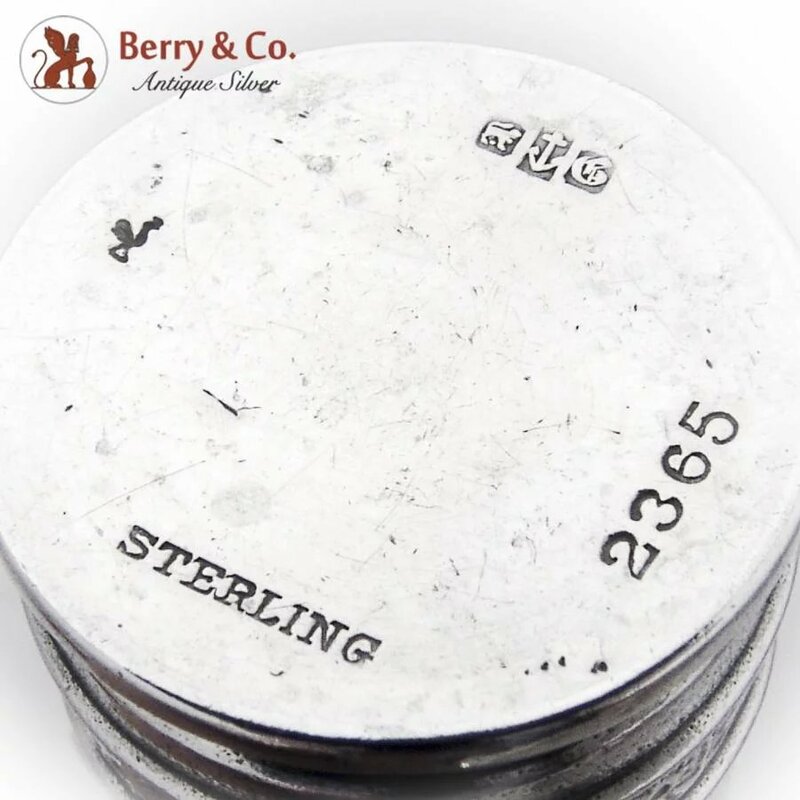 Marked 2365. 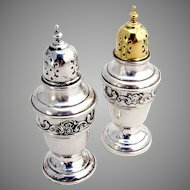 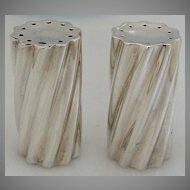 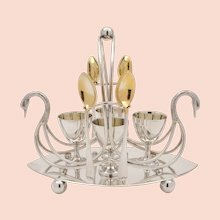 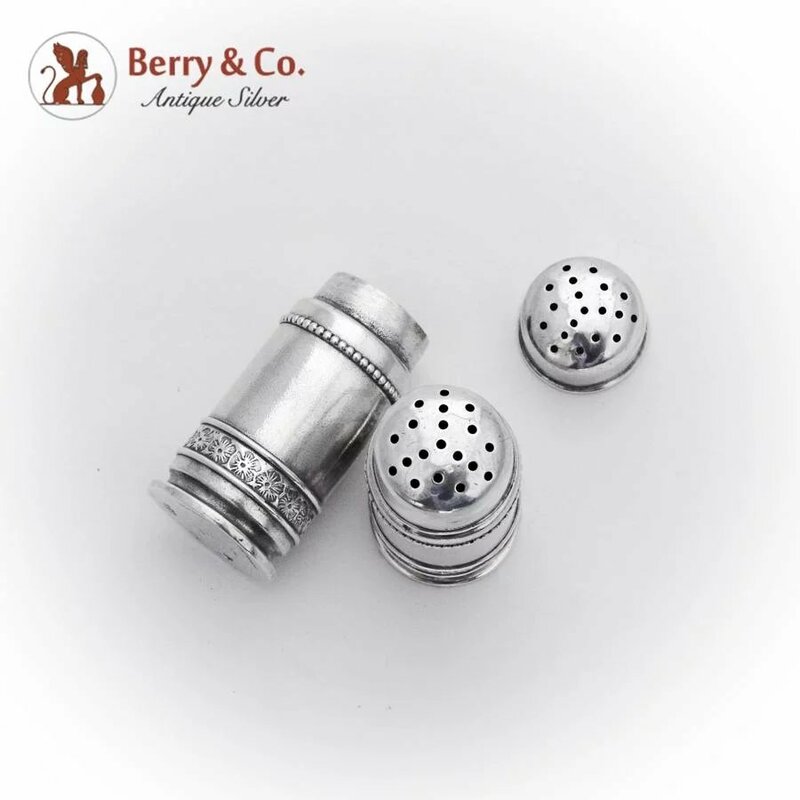 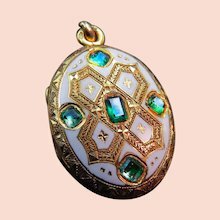 These elegant shakers are 1" in diameter, 2 1/8" tall and weigh total 29.3 grams.